First and foremost if you are in immediate danger you should call 911 for help. 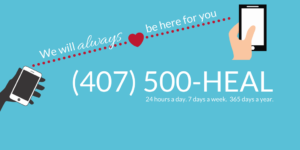 But if you have been the victim of sexual assault there are so many benefits to calling the Victim Service Center of Central Florida’s 24/7 Crisis Helpline that provides you to immediate access to a Master’s level Crisis Counselor. 1. We will always be here for you. There is no set timeframe for using the crisis helpline for support, whenever you need to call, you can. 1 hour, 1 day, 1 month, 10 years after your sexual assault our crisis helpline will be available to you. 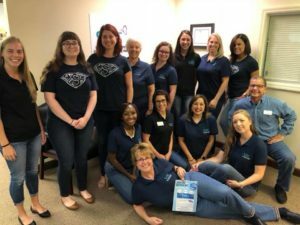 We have Master’s- level crisis counselors available 24 hours a day, 7 days a week because we understand that you may not be able to find the privacy to make the call until late hours, or an event could happen at any time. This can be the first step toward finding healing. We understand it can be hard to cope with the trauma sexual assault brings, and making the appointment to deal with that grief can be overwhelming. Speaking to a crisis counselor for a few minutes can help you be ready to come in for appointments and begin your healing journey. Immediate Relief – Even if you have been out of therapy for a longtime you may still encounter a triggering situation. If that occurs, a Crisis Counselor on the Helpline can help. Help dealing with your assault Anniversary. Each year the anniversary of your assault will come around, and for some, there can be many mixed reactions. A call to the Crisis Helpline can help you cope with facing the day and finding a strategy that will work for you. Feeling overwhelmed by holidays or family gatherings. A call to the Crisis Helpline can help you prepare a plan of options for holidays or celebratory occasions. Learn about your rights as a victim. A Crisis Counselor can answer any questions you may have after a sexual assault about your rights. For example how do you get access to a forensic exam? Do you have to report the assault to the police if you get an exam? Your Crisis Counselor on the phone and in person is completely confidential and available to help you begin healing. Questions about consent? Did you just experience a situation and you want to talk to someone about consent? Are you upset about someone who didn’t respect your verbal no? Call and speak to a Crisis Counselor who can help you talk through the situation and your options. Access to a forensic exam. You can call the Crisis Helpline to get access to a forensic exam. You have 120 hours after a sexual assault to have the exam done by a Sexual Assault Nurse Examiner and a call to the Crisis Helpline is the first step to get one and the Crisis Counselor who answers the phone will meet you at the exam location and support you through the process. If you are a secondary victim you can get help too. You should call the Crisis Helpline if you are being affected by someone else who has been assaulted. It can be hard to know how to help someone who has disclosed their assault to you, a Crisis Counselor can provide you with support and share ways you can be the most supportive to the victim. You do not need to apologize. The Crisis Helpline is a resources for healing available 24/7 for YOU. We will always have someone available to help you and you are welcome to call. You deserve healing, and that can begin here at VSC.